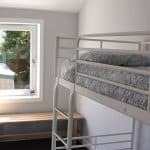 Group Accommodation is always in great demand and there is much more demand than supply. Please secure your group accommodation as early as possible. 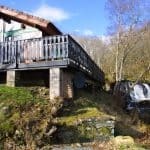 We can always sort out the adventure activities after your accommodation is secured. We believe that what we do on the river and mountain to thrill and entertain you is only part of your experience. 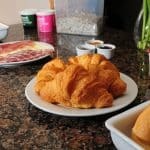 It is essential that you also get great accommodation and food at a sensible price with service to match . 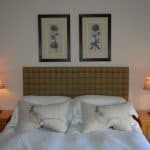 We want to encourage you to stay with us for a few days or a week to fully appreciate this great part of Scotland. 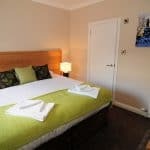 We offer a range of accommodation to suit all tastes. 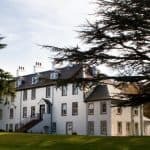 A traditional warm Scottish welcome awaits you at the Moness Resort. 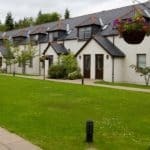 Set in 35 acres of picturesque countryside, in the heart of stunning Highland Perthshire, Moness provides an ideal base from which to explore the surrounding area. The resort consists of 106 cottages and a delightful 4-star hotel in well-manicured grounds of 35 acres. 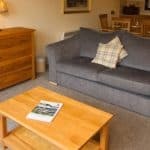 This private and secluded resort is only a short walk from the delightful highland town of Aberfeldy and Splash Rafting. 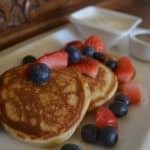 All guests have access to our leisure facilities of a swimming pool, sauna, steam room, hot tub as well as table tennis, pool table and many others. 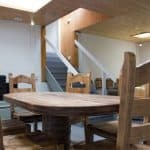 Group Accommodation can be provided in a range of 1-3 bedroom lodges.The hotel can also take groups. 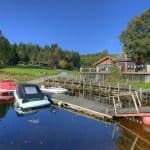 120 Acres of Beautiful Highland Perthshire boasting spectacular views over one of Scotlands finest Lochs. 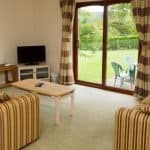 Situated within close proximity of 26 munroes and just a short drive from Aberfeldy, Kenmore, Fortingall and Killin. 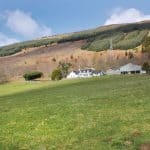 Boreland Loch Tay is a vibrant working farm with a Farmhouse (sleeping upto 17) and a Bunkhouse (sleeping upto 20). Splash get an excellent rate from these hotels so just ask. 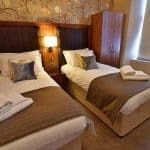 We have to make the booking for you and you pay the hotel direct so just ask us for your preferred dates. 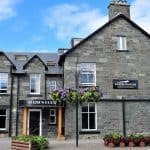 Balnearn is situated on the edge of town making it the ideal base for your visit. Within a two minute walk of the “Birks o’ Aberfeldy”. Balnearn House is a Victorian- style property. It is set within its own private grounds, including an off-street private car park. 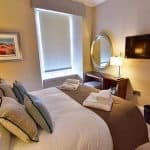 There are 10 comfortable and inviting rooms, offering flat screen TV, tea/coffee making facilities and free WIFI throughout the house. 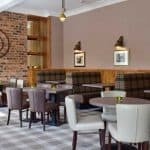 Enjoy a good book, a game of chess or plan your next day’s activities in front of a roaring log fire in our spacious sitting room where we serve afternoon tea by prior arrangement. 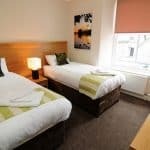 The Station House has 8 en-suite rooms available with breakfast. 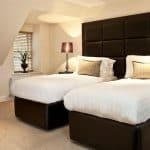 The rooms range from our spacious, luxurious ground floor doubles / twins, to cozy top floor rooms with slanted ceilings and plenty of character! The Kenmore Hotel located in the pretty village of Kenmore. Kenmore lies to the East of Loch Tay with the River Tay flowing by. 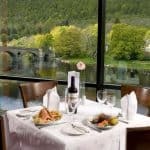 The Kenmore Hotel offers delightful rooms, delicious dining in the restaurant and traditional bars. 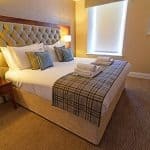 All this in an unrivaled location with stunning views across the River Tay. 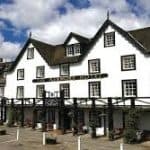 It’s the perfect place for a relaxing getaway, catching up with family and friends or, perhaps, escaping for a romantic rendezvous. 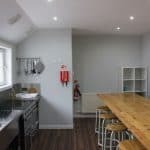 Very suitable for group accommodation for corporate groups or wedding parties. 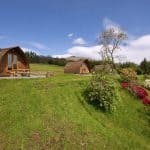 Scandinavian built holiday lodges & glamping accommodations situated on the shores of Loch Tay. 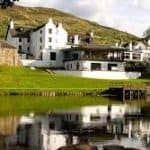 Loch Tay is the heart of the central highlands of Scotland. Highland Perthshire is one of the most beautiful areas of Scotland. Surrounded by mountains, lochs, rivers, and within easy driving distance of Edinburgh, Stirling, and Glasgow. 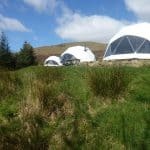 All of Loch Tay Highland Lodges standard wigwams and woodland cabins are pet-friendly, as well as some of our 2 & 3 bedroom lodges.